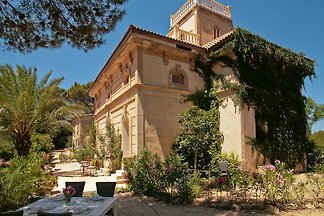 This fantastic typical mallorcan house located at Algaida village, welcomes 8 guests. 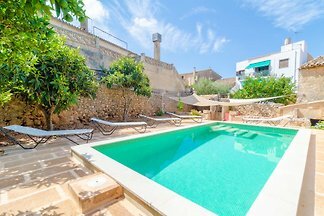 This charming cottage is situated in Algaida, a quiet zone in central Mallorca and can comfortably accommodate 2-4 people. We welcome you to this excellent accommodation for 4 persons in the rural area of Algaida. This house of 120 m2 has a huge garden of 14. Welcome to this great rustic house located between the fields in Algaida. It has a great private pool and peaceful surroundings, and it can accommodate 8 people. Welcome to this excellent property in the rural area of Algaida. This 86 m2 house with pool is located in a 14000 m2 plot and it has capacity for 4 people. Splendid countryhouse in Algaida, with a big pool and a magnificent garden. It is prepared for 8 persons, perfect for families with children or groups of friends. Enjoy an amazing vacation in this majestic village restored house with private pool in Algaida. It has capacity for 6+4 guests. This modern house with private pool is located in Algaida, in the centre of Mallorca, has beautiful views to the countryside and can accommodate 4 people. We welcome you to this cozy cottage for 5 people located near Montuïri, with a swimming pool and manicured exteriors. Rent successfully your holiday flat or holiday home in Algaida in only 20 minutes !